Going to Japan in early May is pretty confusing, because that’s the transition time between spring and summer. Usually, sakura season is full bloom in late March to mid April, unless you need to go north to see some areas that still have sakura. Winter in Japan is pretty too, but it ends on February. After February, your dream to touch the snow would never be happened. 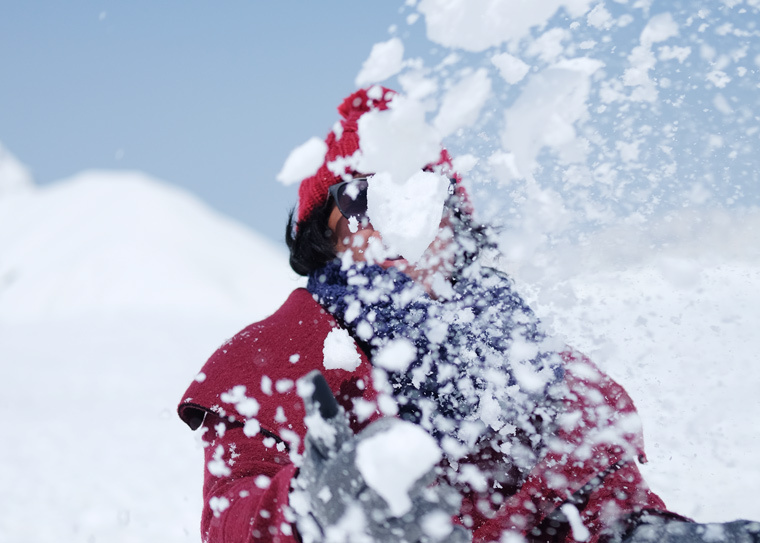 But heyyy….here I am to tell you that your wish to touch the snow in Japan between May – October will come true. I didn’t plan before that I would go to Tateyama Kurobe Alpine Route, of course I knew that this magical place exists, but I wasn’t pretty sure what is the best time to go there. 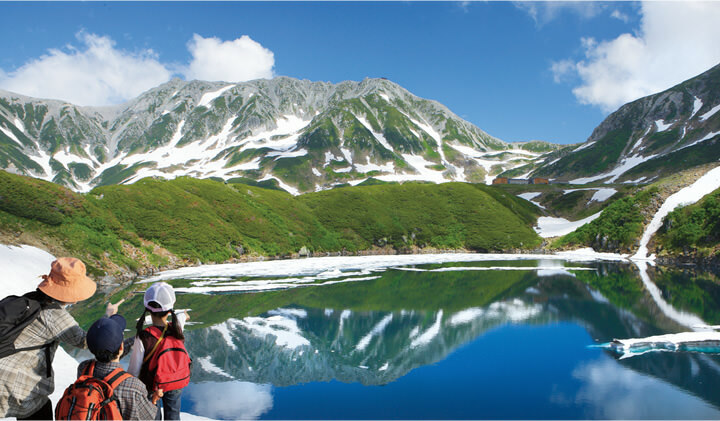 Tateyama Kurobe Alpine Route opens from 15 April this year 2017 and usually close on November. So, other than between mid April – November, I’m sorry that you can’t experience this majestic snow corridor whose walls reach up to 20 meter high. 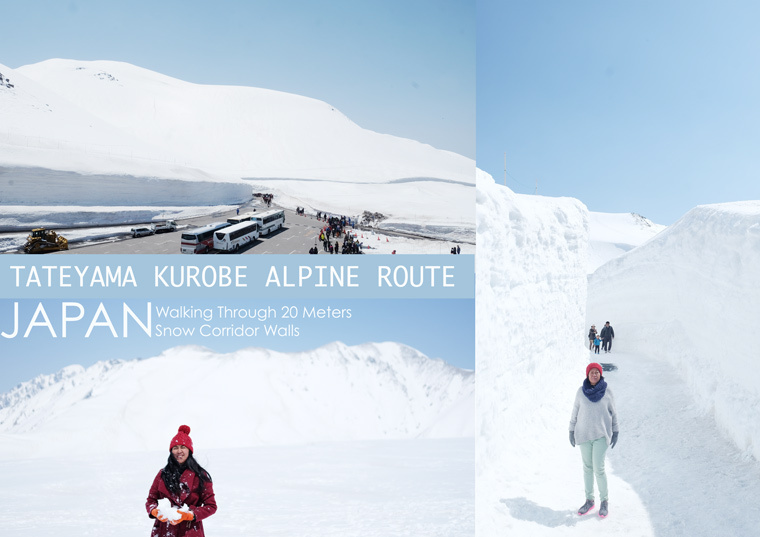 Here they are the complete guide to visit Tateyama Kurobe Alpine Route. This route is a good deal for Japan Rail Pass or Hokuriku Shinkansen Pass holder because the journey is all covered beside the tateyama kurobe route itself. These tourist pass only available to buy out of Japan. So you cannot buy on the spot in Japan, because it isn’t sold in the country. I bought it online on Tripvisto (click the link). 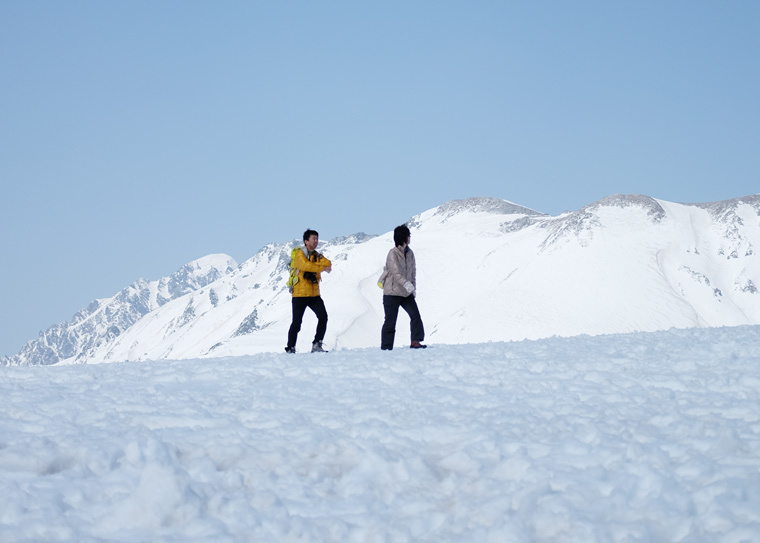 There are two ways to enjoy Tateyama Kurobe Alpine Route ; First, visit all the way routes (it needs 8 transport change). Second, go up to Murodo (the highest point) and going back the same way. I started from Toyama straight to the highest point, Murodo and come back the same way. I decided to take the first option, because I stayed in Toyama, and will continue our journey down to Kanazawa. From Tokyo to Toyama is accessible with Shinkansen train (12.000 yen one way) and took 3 hours. If you have Japan Rail Pass (28.000 yen) or Hokuriku Shinkansen Pass (24.000 yen), you don’t need to pay, it’s included. Once arrive in Toyama Station, take the south exit and look for Dentetsu Station. Here you’ll be asked whether take a full trip or half trip. All the JR Pass would not be able to use start from here. If you wish to go up to Murodo (highest point), the price for round trip is 6.000 yen, but if you go full route start from Toyama and ended in Ogizawa, it cost 9.000 yen. You can just buy them in the station, no need to reserve. From Tateyama Station, we will continue with a cable car, the line would be so busy here as the capacity of the cable car is not that much. Come to the most excited part ! we will continue with the Tateyama Highland bus to the Murodo terminal as the highest point. 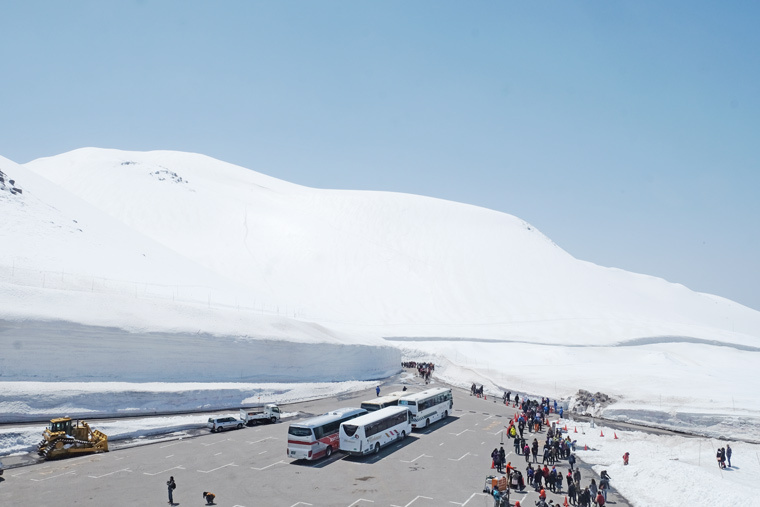 The bus will pass the highest point of Tateyama snow corridor walls and up to Murodo Terminal. Once arrive in Murodo Terminal, there will be only 1 building surrounded by the snow. The building has 4 stories, first as the lobby, second as public facilities (such as restaurant, souvenir stores), third is a gate to go out, and fourth is the hall of information. On late April, there is no snowfall anymore, but you can still see everything covered by the snow. The temperature is around 1 – 5 celcius degree, it’s pretty cold and you absolutely need to wear layers. Once you go out, there is an observation deck to look down. If you go left, you’ll be heading to Mikurigaike Lake, another one on my list, but unfortunately I couldn’t see the lake as it was still covered by the snow. The lake will be seen start from July to October yet the view here is so amazing. We’ve spent almost 3 hours playing with the snow, and leaving the place at around 03.30 pm. It’s the same way going back, we arrived in Toyama around 08.00 pm. This route that I took will be best if you continue the journey down to Osaka/Kyoto not going back to Tokyo. However, if the plan is going back to Tokyo, taking the second option is more recommended, you can start from Toyama, taking the full routes of Tateyama kurobe and end the journey at Shinano Omachi (read the full guide about taking the full routes in Tateyama Kurobe Alpine Routes here). As an asia girl who has spent her entire life in tropical country, this attraction is amazing, walking through the snow corridor walls is such a mind blowing experience and Japan always has interesting things in every corner.